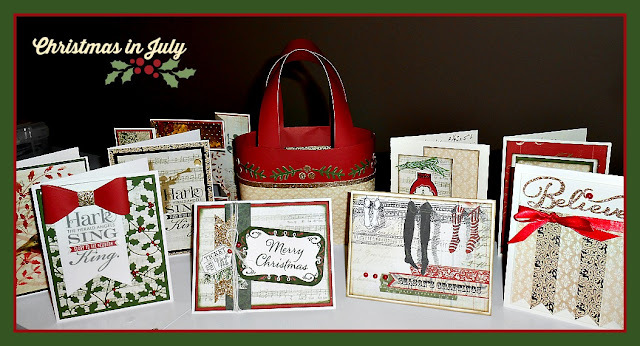 CardMonkey's Paper Jungle: "Christmas in July" Workshop Coming Soon - Sign Up Today! "Christmas in July" Workshop Coming Soon - Sign Up Today! The featured paper that we will be using is called "Yuletide Carol" from Close To My Heart. Participants will first make this "Box in a Bag" to hold all of the cards we'll be making. 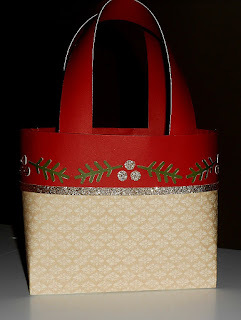 It has a Colonial White base/box, a neutral beige from Yuletide Carol for the wrap, and Ruby for the handles and top portion. All necessary cuts and instructions will be provided; all you'll have to do is glue/tape! Then participants will choose five of the nine designed, pre-cut cards that they'd like to make in subsequent class time. Some are a bit more complex, and some are easy-peasy. All come with instructions and necessary cuts. 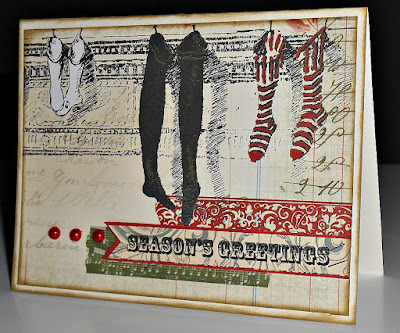 I'll be providing the stamp sets and inks where stamping is required. 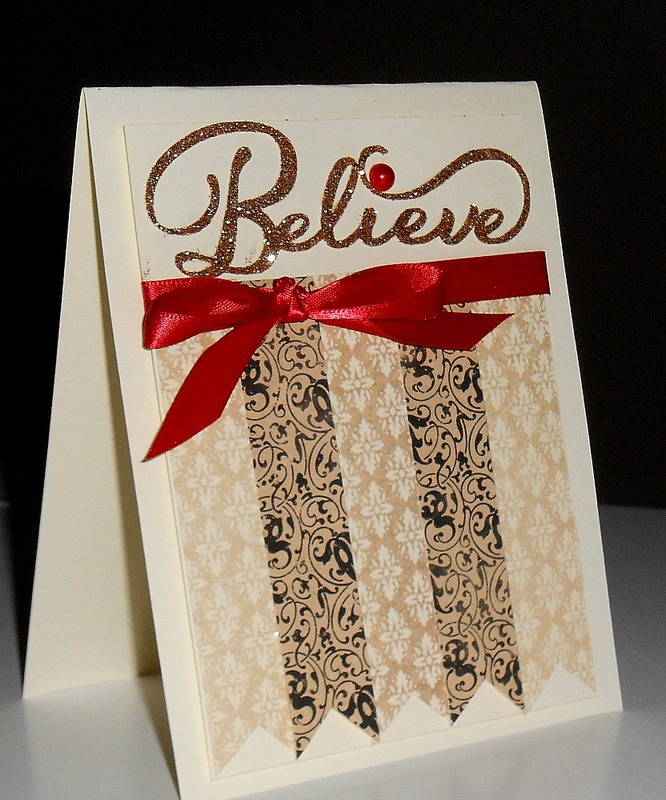 I've pre-cut the word "Believe" from CTMH's gold glitter stock using the Cricut/CTMH cartridge called "Artbooking.". It is glued to a Colonial White panel, under which you'll adhere five strips of Yuletide Carol paper. 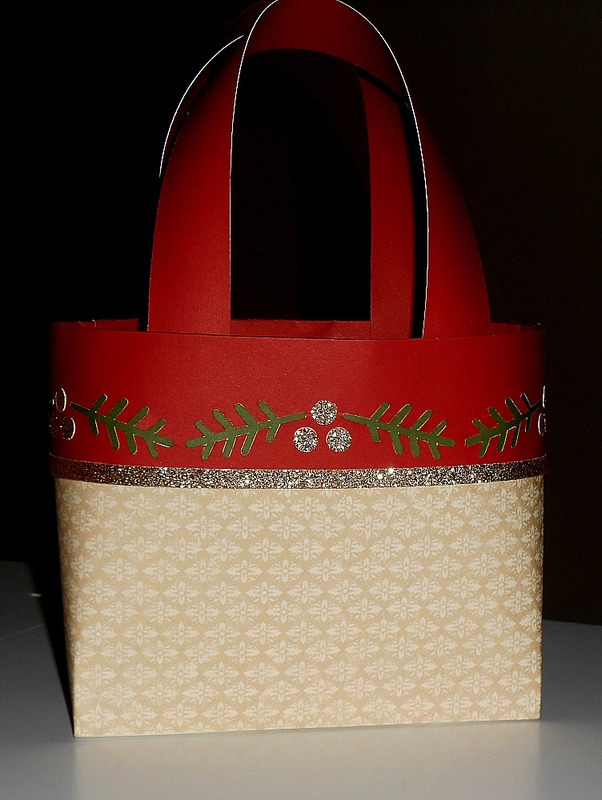 Top with a bow of red satin ribbon and a red pearl, all provided in your kit. The panel is then adhered to a vertical folded A-2 card to finish. This card looks more complex than it is. Actually, it's cut from a corner of the Yuletide Carol paper. 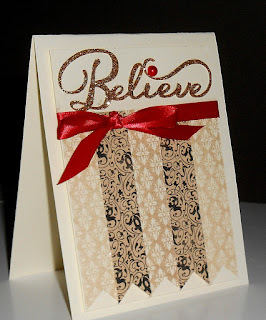 The sentiment is stamped with Versamark and gold embossed -- techniques you'll learn in class. 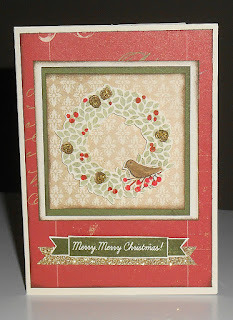 Add some provided red seed pearls, mat on green, and on a card and voila, you're done! 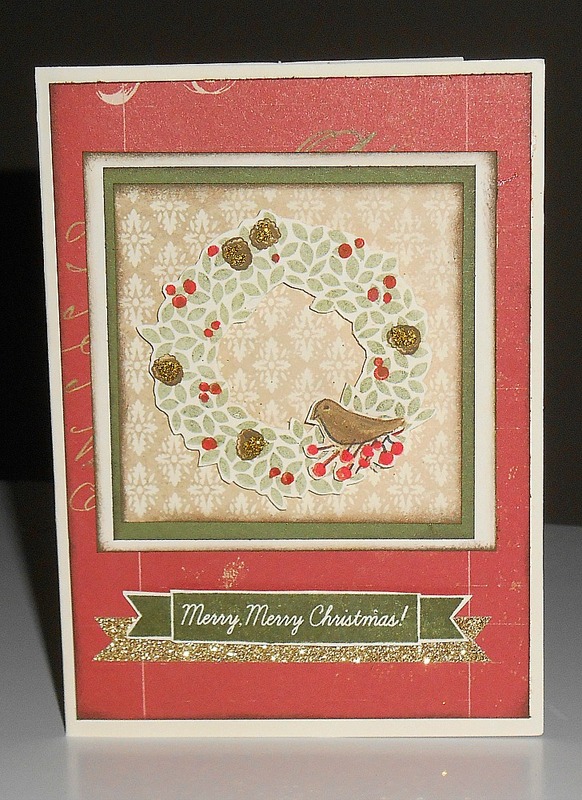 For this cute card, the background is cut from some Yuletide Carol paper, and then the borders are inked with Cocoa ink and a sponge dauber. 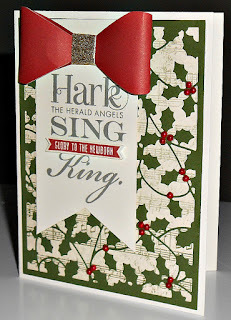 The center is three layered papers, topped with a wreath that you'll stamp and "fussy cut." Color the beads on the wreath with marker, and affix the birdie. 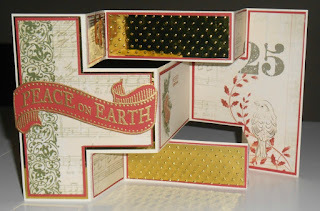 The sentiment is stamped and fussy cut as a banner, under which you'll layer a piece of CTMH gold shimmer trim. This is one of the more complicated designs, but because the paper is all cut for you, I've taken the guess work out of the project. 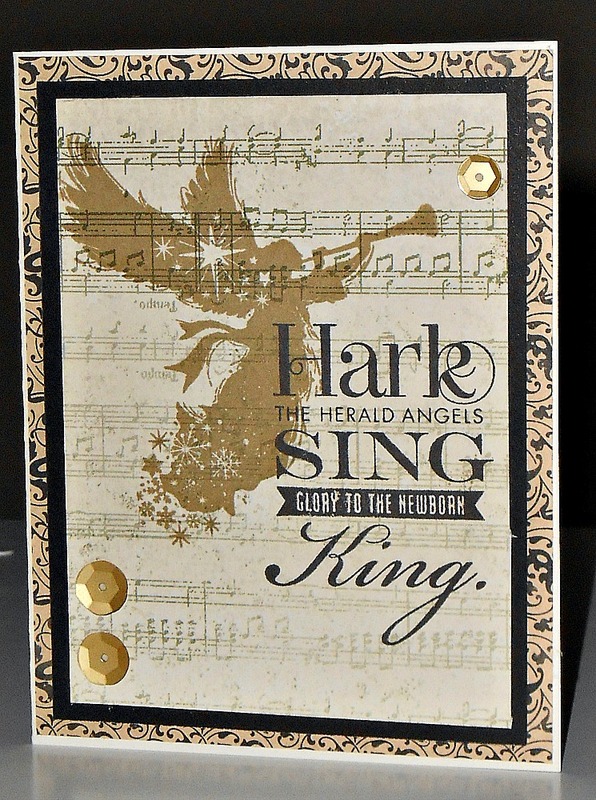 You'll need to stamp your sentiment in Versamark, heat set your gold embossing powder, and adhere. The gold panels are metallic papers that you'll be running through an embossing machine that I'll provide. 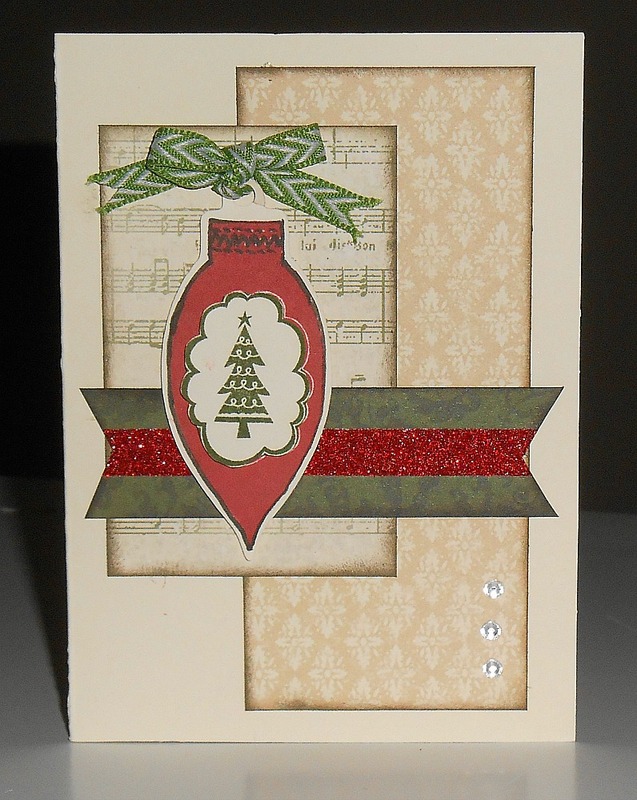 For this card, I'll provide the ornaments to be stamped; they have been cut from a Cricut/CTMH cartridge. Then, top the ornament with a bit of Topiary Chevron ribbon. 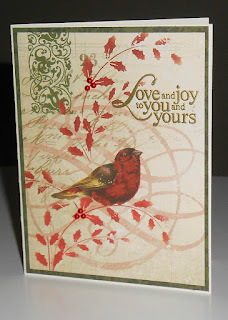 Ink the edges of the provided paper and add the ornament. Easy! 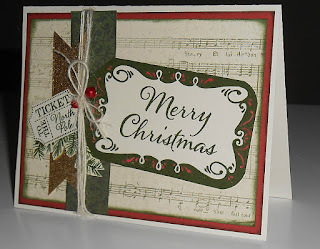 This "Merry Christmas" card has a large stamped sentiment tied on a tag that has been layered on Yuletide Carol paper. The paper has been inked on all sides with Topiary ink. 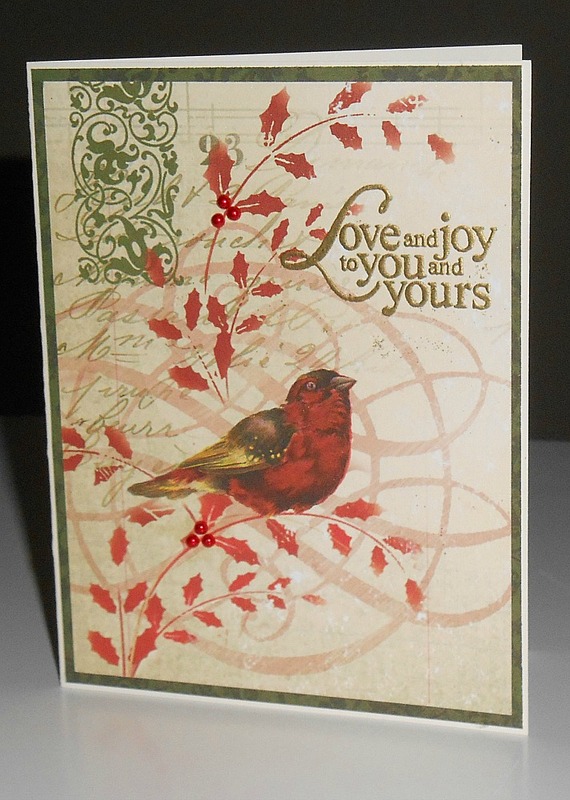 A bit of twine and glitter trim offer a seasonal juxtaposition that makes the card merry and fun! This card will take a bit of patience to glue in place, but once you're done, you'll see just how elegant the holly die cut makes this card. 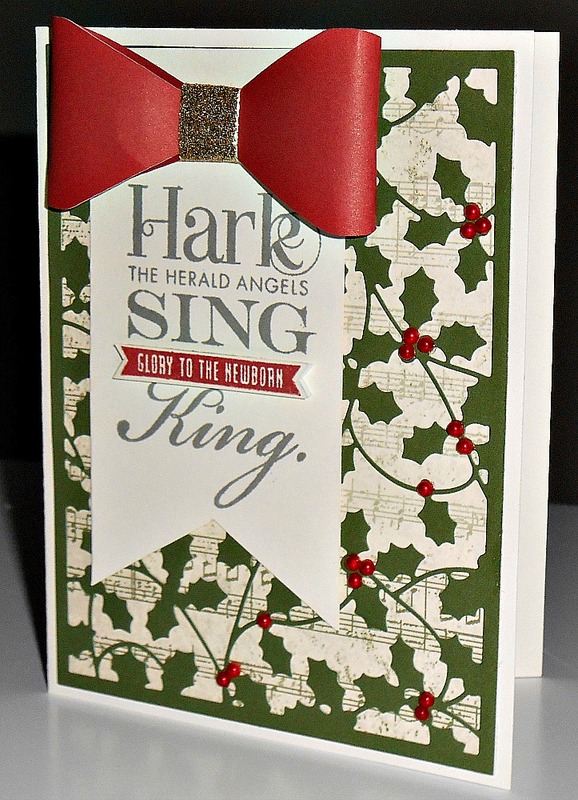 I'll provide the pre-cut holly topper that you'll glue in place atop a musical note paper. 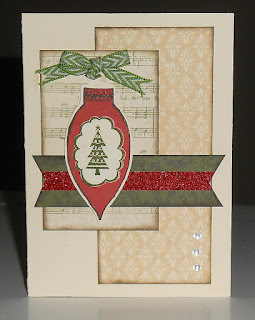 The sentiment is stamped in Whisper Ink and topped with a bow cut using the Cricut/CTMH Artiste cartridge. 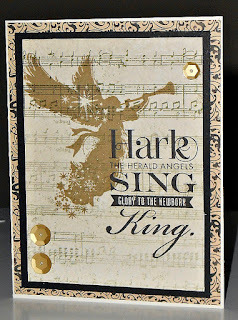 This pretty card is stamped with the angel using Desert Sand ink, and topped with the sentiment stamped in black. Add a few (provided) sequins and you're done! And last but not least is this easiest of cards. 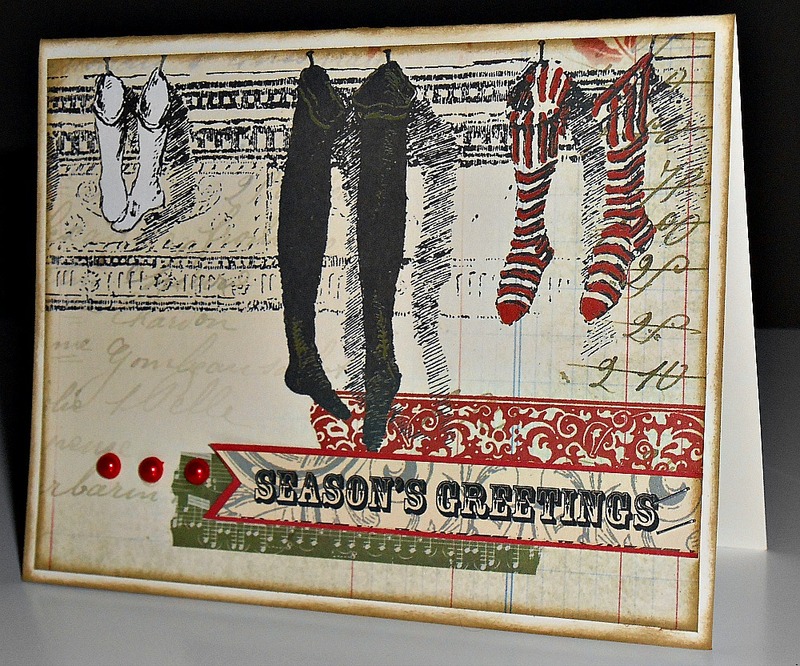 The design with the stockings is cut from a corner of the Yuletide Carol paper, and topped with a cut-out from the versatile Zip-strip at the top of all CTMH paper. Inked edges give this project some definition.